- rooms with complete bathrooms, with a sink, shower, bidet and toilet. - rooms with a sink and shower in the room, plus a shared bathroom with a toilet on the same floor. - rooms with only a sink, plus a shared bathroom with a shower and a toilet on the same floor. The rooms with shared bathrooms are found in a second building across the street from the hotel. We do not put televisions in the rooms on purpose, to keep the noise from disturbing other guests. Many rooms have an impressive view of the canal. 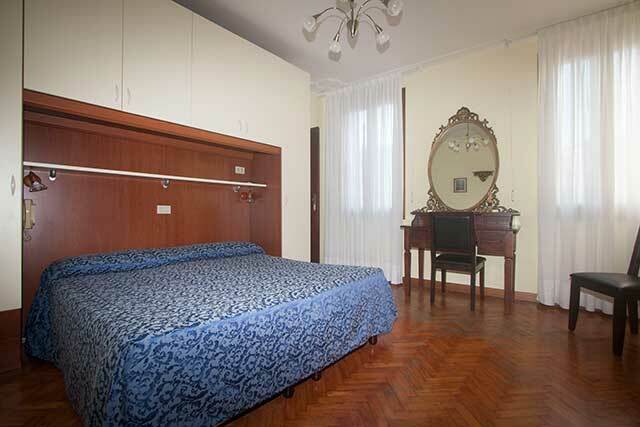 The rooms come with double beds or twin beds, and some rooms are large enough for additional beds.